Yes, this is the big news. 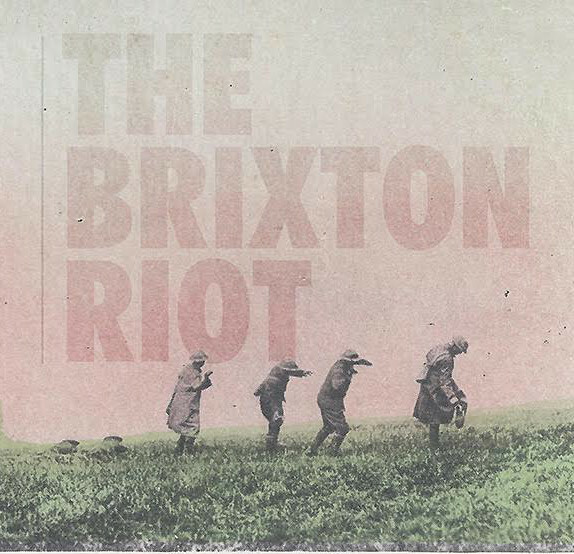 Our second album is not only completed and mastered, it's already being pressed. As in right now, as I type this, it's getting pressed. Considering we had not recorded a note of it the last time we posted here, that's some big news, right? It will be available via Mint 400 Records on Friday, October 6th. We recorded the bulk of this record over a 2-day, 20 hour span at Magpie Cage Recording Studio in December with J. Robbins. Working with J. was great. He's a master of his craft and knows how to make fantastic sounding records. He's also a great guy to hang out with and has a ton of cool stories. He knows where the good pizza is (or was, RIP Two Boots South). In Baltimore, this is a very important skill. We finished the recordings at our home studio (as we had with Palace Amusements) and then went back for the final day of mixing in July. We wrapped things up in the middle of the night, exchanged hugs and went on our way back to Jersey, new album in hand. From start to finish, it was a great experience. NJ Racket was kind enough to premiere the first track off the record this week. In case you missed it, you can find "Can't Stop Now" linked and embedded below. 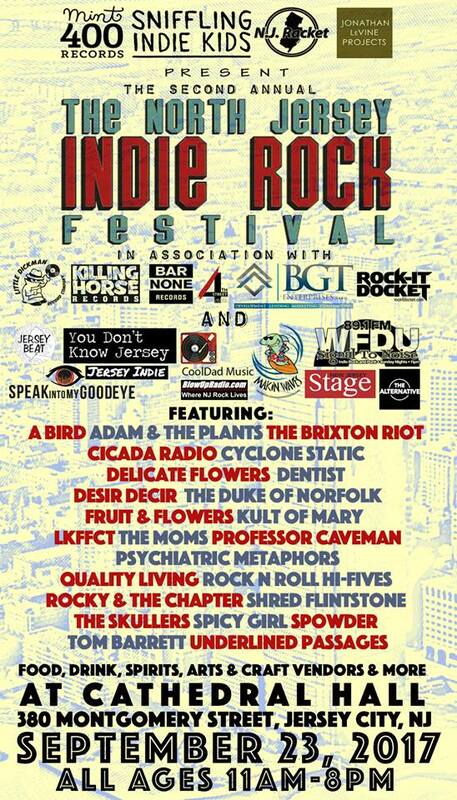 THIS SATURDAY we are performing at the 2nd Annual North Jersey Indie Rock Festival at Cathedral Hall in Jersey City, NJ. It's an entire day of bands brought to you by Mint 400 Records, N.J. Racket, Jonathan Levine Projects, 4th Street Arts, BGT Enterprises and the Rock-It Docket, BlowUpRadio.com, You Don't Know Jersey, CoolDad Music, Jersey Beat, 89.1 WDFU, Speak Into My Goodeye, Jersey Indie, Makin Waves, New Jersey Stage and The Alternative. 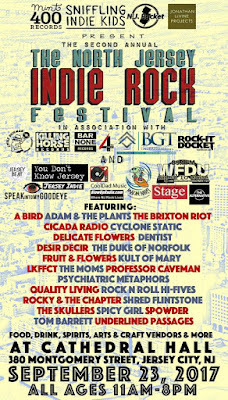 Featuring performances by A Bird, Adam & The Plants, Cicada Radio, Cyclone Static, Delicate Flowers, Dentist, Desir Decir, The Duke of Norfolk, Fruit & Flowers, Kult of Mary, LKFFCT, The Moms, Professor Caveman, Psychiatric Metaphors, Quality Living, Rock n Roll Hi-Fives, Rocky & the Chapter, Shred Flintstone, The Skullers, Spicy Girl, Spowder, Tom Barrett of Overlake, Underlined Passages and of course, us. We will be kicking the whole thing off upstairs in the cathedral at noon. If you're more of a central jersey type, feel free to join us Sunday at Arts In The Park in Highland Park. It's an all day street fair that basically shuts down Raritan Avenue and jams it full of musicians, artists, food vendors, crafters and the like. It's a great family friendly event and it's completely free. We will be performing along side the KINGS of Highland Park, The Anderson Council as well as RGD and The Nowhere. Music starts at 11:30 and we go on right around 3:30 PM on the 2nd Avenue (and Raritan) Stage.